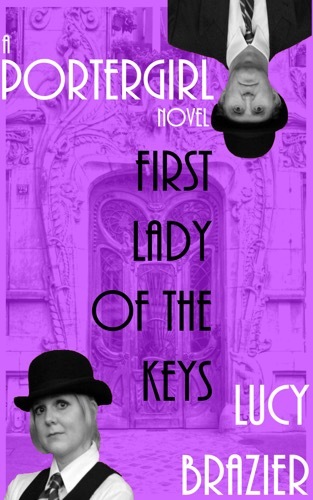 To celebrate the release of new PorterGirl novel, Sinister Dexter, the first book in the PorterGirl trilogy is available on FREE download for five days from Thursday 26th April! As one of the most ancient and esteemed establishments of the academic elite, Old College is in for something of a shock when it appoints its very first female Deputy Head Porter. She struggles to get to grips with this eccentric world, far removed from everyday life. Deputy Head Porter, the proverbial square peg in the round hole, begins to wonder quite what she is doing here. PorterGirl. First Lady Of The Keys is a touching, and at times laugh-out-loud funny, glimpse into a world that is usually reserved for the upper echelons of society. 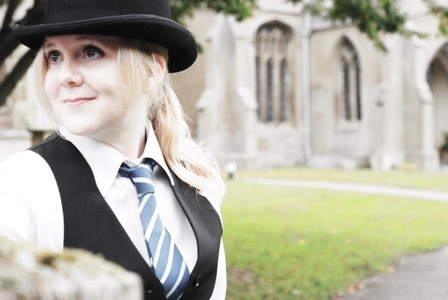 Whether she is chasing after naked students, drinking copious amounts of tea or getting embroiled in quaint, polite murders, Deputy Head Porter is never far from adventure. This entry was posted in books, creative writing, literature, newauthoronline, uncategorised and tagged free ebooks, humour, k morris poet, lucy brazier, newauthoronline, old college, secret diary of portergirl, sinister dexter on April 25, 2018 by K Morris Poet. I have been busy over the last few days pulling together my latest collection of poems, “Lost In The Labyrinth Of My Mind”. Poems about nature, mortality and the joys and pangs of love are interspersed with humorous poetry. I hope to publish in mid January (hopefully sooner) and I am looking for readers willing to write an honest review of “Lost In The Labyrinth Of My Mind” in return for a free copy of my book. If you are interested in receiving a free copy in return for an honest review please contact me at newauthoronline (at) gmail dot com (the address is given in this way to defeat spammers). This entry was posted in books, literature, Uncategorized and tagged free ebooks, honest reviews, k morris poet, lost in the labyrinth of my mind, newauthoronline, poems, poetry, reading, seeking people to review book, writing on January 3, 2016 by K Morris Poet. The free promotion of my book, “Samantha” ends on Friday 12 June 2015. Samantha tells the story of a young woman forced into prostitution in the city of Liverpool. Can Sam survive the brutality of her pimp, Barry or will she end her troubled existence in the murky waters of Liverpool’s Albert Dock. To download “Samantha” free please visit http://www.amazon.co.uk/Samantha-K-Morris-ebook/dp/B00BL3CNHI. If you read “Samantha” or any of my other works I would very much appreciate it if you would please consider leaving a review. 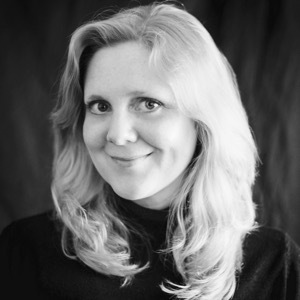 This entry was posted in books, literature, short stories, uncategorised and tagged crime story, detective, fiction, forced prostitution, free ebook, free ebooks, k morris author, newauthoronline, reading, samantha by k morris on June 11, 2015 by K Morris Poet. My book ‘The Suspect and other tales’ will be on free promotion from the 4th – 8th June. ‘The Suspect’ is a collection of tales of the unexpected, ranging from stories of crime and vengeance through to ghostly happenings in an ancient mansion. For ‘The Suspect’ please go to: http://www.amazon.co.uk/Suspect-other-tales-K-Morris-ebook/dp/B00PKPTQ0U/ref=asap_bc?ie=UTF8 for the UK or http://www.amazon.com/Suspect-other-tales-K-Morris-ebook/dp/B00PKPTQ0U/ref=asap_bc?ie=UTF8 for the US. If you read ‘The Suspect and other tales’ I would very much appreciate it if you would consider leaving a review on Amazon. This entry was posted in books, literature, short stories, uncategorised and tagged book promotions, crime fiction, detective, flash fiction, free ebooks, k morris author, newauthoronline, reading, tales of the unexpected, the suspect and other tales by k morris on June 3, 2015 by K Morris Poet. My book ‘Samantha’ will be on free promotion from the 8th – 12th June. Samantha tells the story of a young woman forced into prostitution in the city of Liverpool by her brutal pimp, Barry. Can Sam survive, or will she end her miserable existence in the murky waters of Liverpool’s Albert Dock? For ‘Samantha please go to: http://www.amazon.co.uk/Samantha-K-Morris-ebook/dp/B00BL3CNHI for the UK or http://www.amazon.com/Samantha-K-Morris-ebook/dp/B00BL3CNHI for the US. This entry was posted in books, literature, short stories, uncategorised and tagged book lovers, crime fiction, detective fiction, free book promotion, free ebooks, k morris author, prostitution, reading, samantha by k morris free in the kindle store, thrillers on June 3, 2015 by K Morris Poet. My collection of short stories, ‘The Suspect and other tales’ is free in the Kindle store from March 4th – March 8th 2015. The book consists of: Tales of the unexpected, ranging from stories of crime and vengeance through to ghostly happenings in an ancient mansion. This entry was posted in books, literature, short stories, uncategorised and tagged flash fiction, free ebooks, free kindle, ghost stories, horror, k morris author, newauthoronline, reading, the suspect and other tales book review, the suspect and other tales k morris on March 4, 2015 by K Morris Poet. I have been contacted by author Teresa Green with a request that I publicise the availability of her book, “Love Me Again” (Sutton and McDonald Families Book 1), as a free Kindle download which, of course I am very happy to do. The book description, extracted from Amazon reads as below. married. He knew if he succumbed to his attraction for her, she would expect marriage. Abby’s desire for Cord impels her to seduce him. “Love Me Again” can be downloaded here (http://www.amazon.com/Love-Again-Sutton-McDonald-Families-ebook/dp/B00HGWT0E2) or here, (http://www.amazon.co.uk/Love-Again-Sutton-McDonald-Families-ebook/dp/B00HGWT0E2/ref=sr_1_1?s=digital-text&ie=UTF8&qid=1425208860&sr=1-1&keywords=Love+Me+Again+%28Sutton+and+McDonald+Families+Book+1%29). “Love Me Again” will be featured on Bookbub on Monday 2 March, (https://www.bookbub.com/home/). This entry was posted in books, literature, Uncategorized and tagged book promotions, free ebooks, free kindle titles, love me again, love stories, newauthoronline, novels, romance, romantic fiction, teresa green on March 1, 2015 by K Morris Poet.